Myself AND my husband are both second-generation pianists. Both of our mothers are pianists – his mother can read, play, and arrange music (mostly hymns) and my mother plays by ear (mostly Southern Gospel). We knew it was likely that any children would follow our musical footsteps, and we began to see that in our daughter around 9 months old. She would pull up and bounce to any music with a beat! We have the cutest videos of her dancing to the theme from Curious George and Strawberry Shortcake. I’ll treasure those videos forever. She’s now 4. When she was a little over 2 years old, we found out about Music Connections through a mutual friend. Music Connections is Debbie’s Mondale’s business – she has been a Kindermusik teacher for over 15 years. The classes have been great for social development and well as musical development. 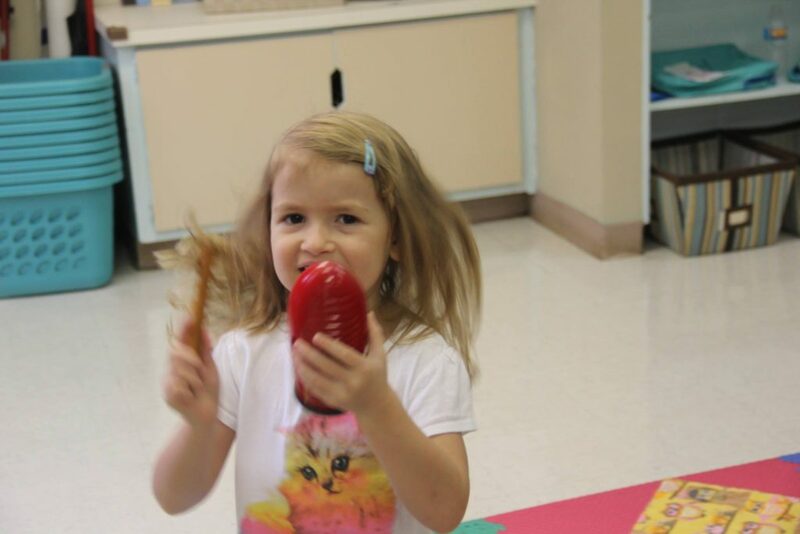 I highly recommend exploring Kindermusik class options for your developing musician! There are many other things you can do to prepare your child for piano lessons. Here are a few simple ways to start!